The BMW M328 is a straight-6 OHV piston engine which was produced alongside the M78 from 1936 to 1940. 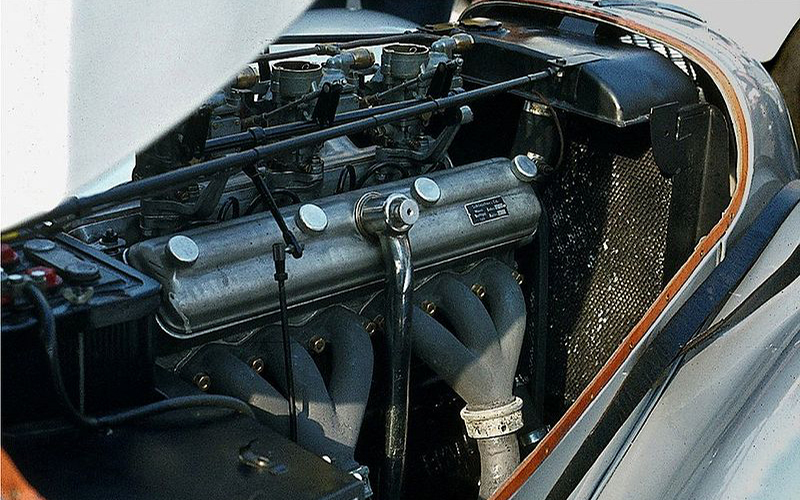 It was a high-performance development of the M78 engine, and was made for use in the BMW 328 sports car. An aluminium cylinder head with a hemispherical cross-flow combustion chamber was developed for this engine. The M328 had an unusual valvetrain design. While the camshaft was located in the block (as per OHV engines), the exhaust valves were controlled by a transverse pushrod from the intake valves. This meant the valve layout is similar to a DOHC engine. With a bore of 66 mm (2.6 in) and a stroke of 96 mm (3.8 in), the displacement was 1971 cc, the same as M78 engine used in the BMW 326. Three Solex "30 JF downdraft" carburetors were used on the M328. The M328 engine has a compression ratio of 7.5:1 and produces 80 PS (59 kW) at 5000 rpm. Last uodated on 20 August 2012 at 10:12.